In a climate like that in which we live, the roof of your Maryland home can take a beating. Sun damage, water damage, and storm damage of all kinds can all severely weaken your roof, therefore weakening your home. DryTech Roofing is the fully licensed and insured Laurel roofing company that more residents turn to for their replacement roof and roof repair needs. DryTech Roofing is more than just a roofing company in Laurel. 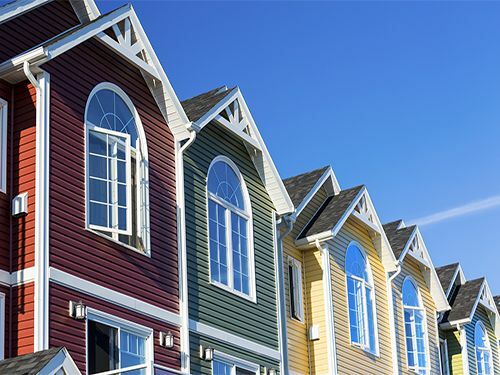 We also offer energy efficient fiber cement siding from James Hardie. This revolutionary material will immediately increase the curb appeal, energy efficiency, and resale value of any home in Maryland. Roofing is our specialty, but at DryTech Roofing we have the skills necessary for most general contracting jobs as well. DryTech Roofing has been working in the Laurel roofing industry for more than a decade and we have worked on thousands of local homes. The roofing products we install are specifically designed for the Maryland area. DryTech Roofing is a GAF MasterElite Roofer, Laurel MD. This allows us to provide our clients with their superior roofing materials as well as the deepest warranties available in the Laurel MD roofing market. In addition to our quality Maryland roofing and siding services, we also offer replacement windows and attic insulation. Also, we will often stray from our job description if the right job comes up so no matter what your next project is, give us a call. In today’s housing market, energy efficiency is a hot button issue. The more energy efficient a home is, the higher its value. At DryTech Roofing we use energy efficient materials and advanced installation techniques to up the energy efficiency and therefoe the value of Laurel homes. Have an aging or leaking roof? Don’t want to keep climbing up there and patching cracks, just to have them reopen? Contact Drytech Roofing, Laurel MD, and leave the roofing to us. Call (240) 491-5600 for a FREE Estimate on your next Laurel MD roofing project!